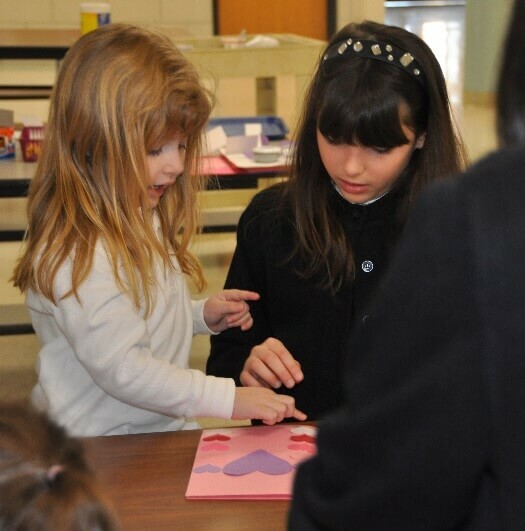 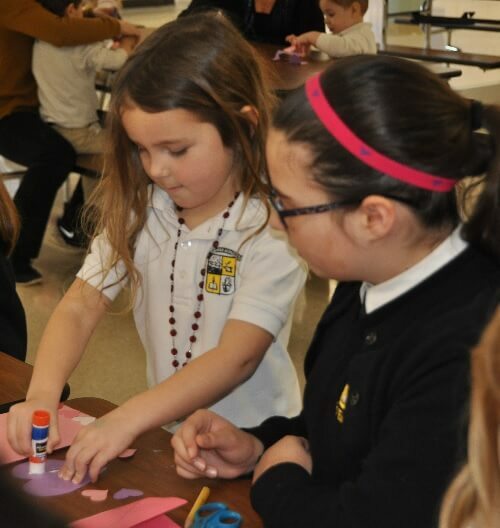 Preschoolers “buddied” up with our 6th grade students to make Valentine’s Day cards for the elderly. 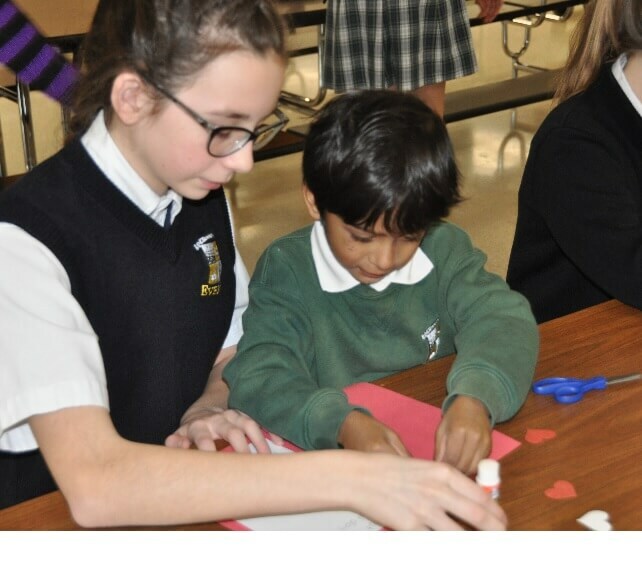 The cards will be delivered to a neighboring senior living home in time for the holiday. 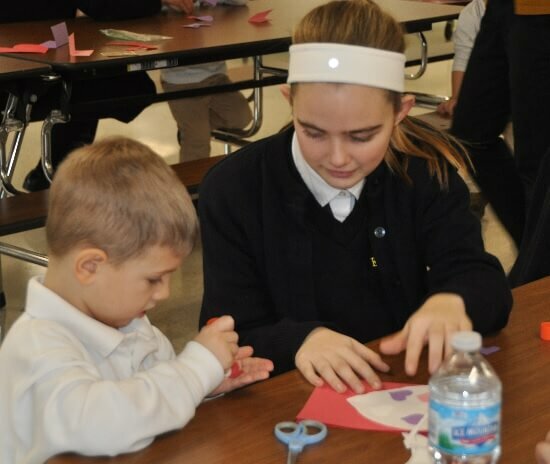 ← Priest Power at CSW First Friday Mass!